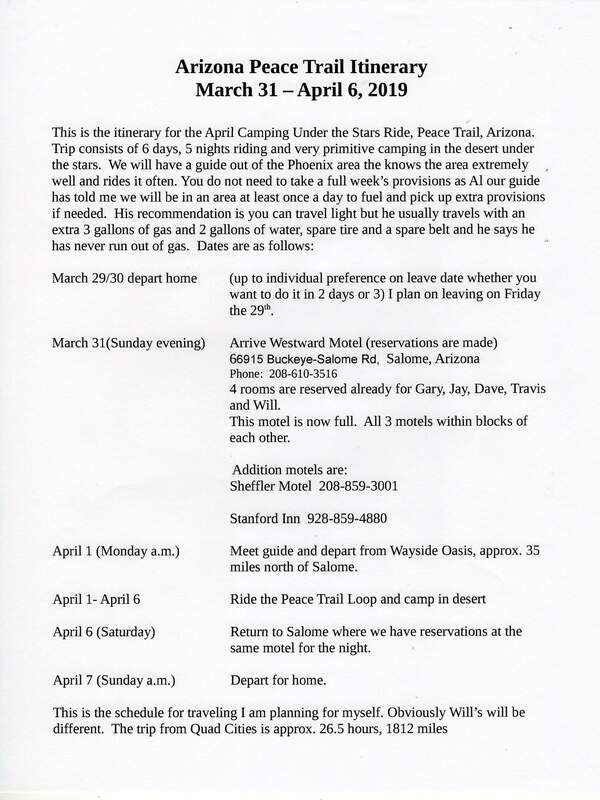 The following information is on the 2019 Peace Trail trips. 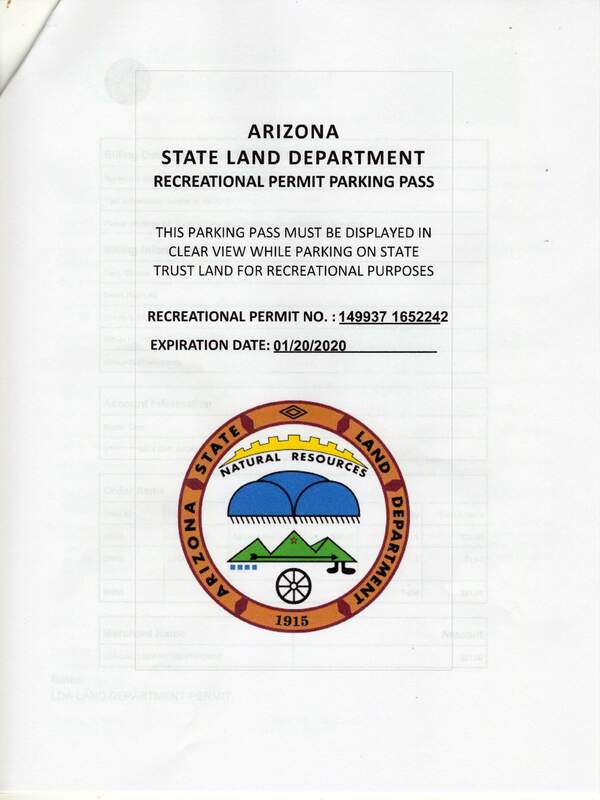 Page 6: Will be a copy of the online state trust land parking permit. 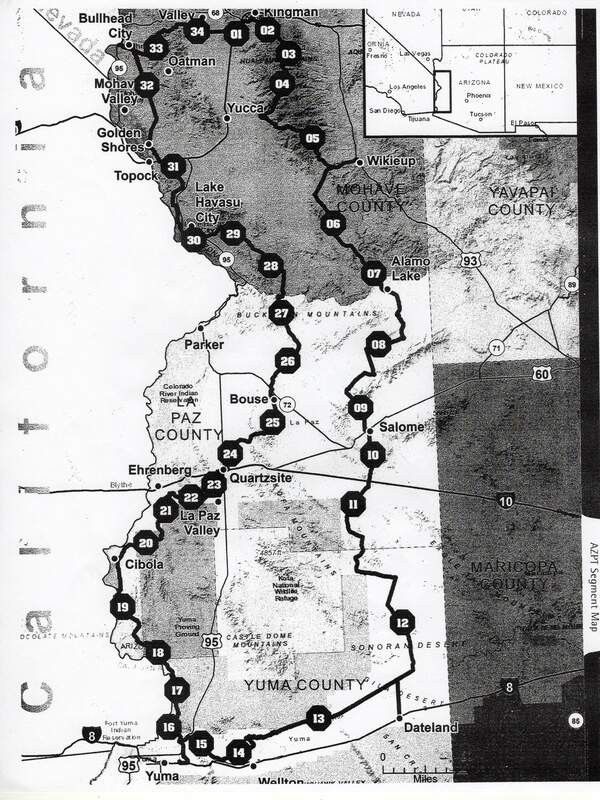 Page 7: Will be the Peace Trail map. The information listed below for permits is the current information I was able to find regarding non resident permits. 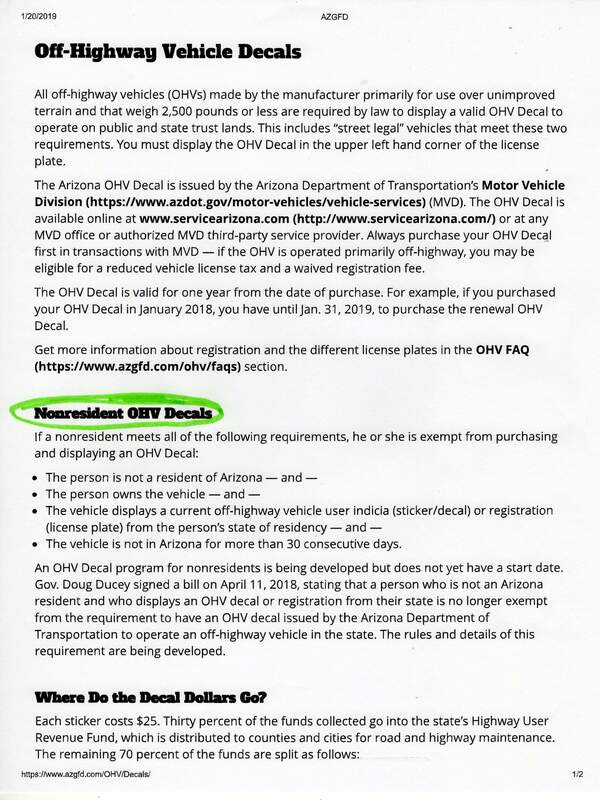 Arizona did pass a new law regarding non resident permits but no one was able to tell me when the law will be implemented. I will post updates as they become available. 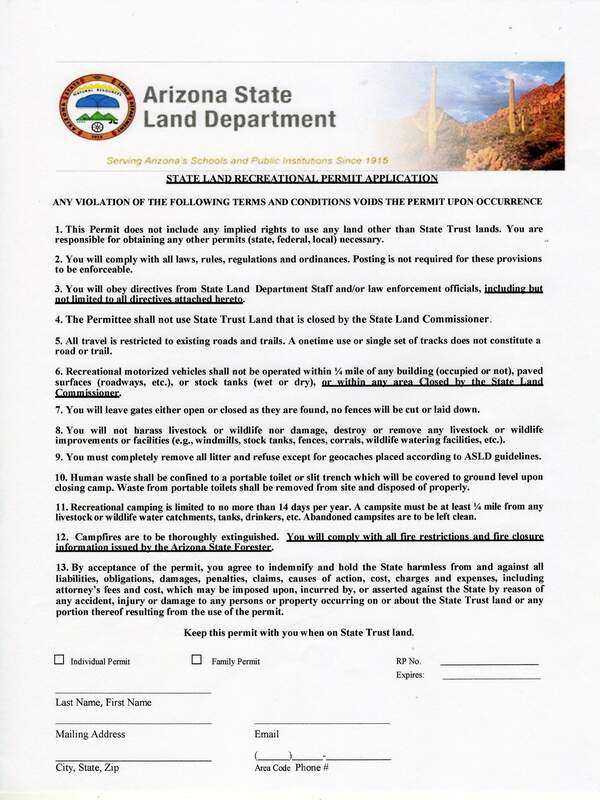 The bottom line is they honor your state permit or registration and because of the large amount of state trust land, it is a good idea to purchase the state trust land recreational permit. It is entirely up to you what you choose to do regarding permits. You can purchase them or take the gamble. 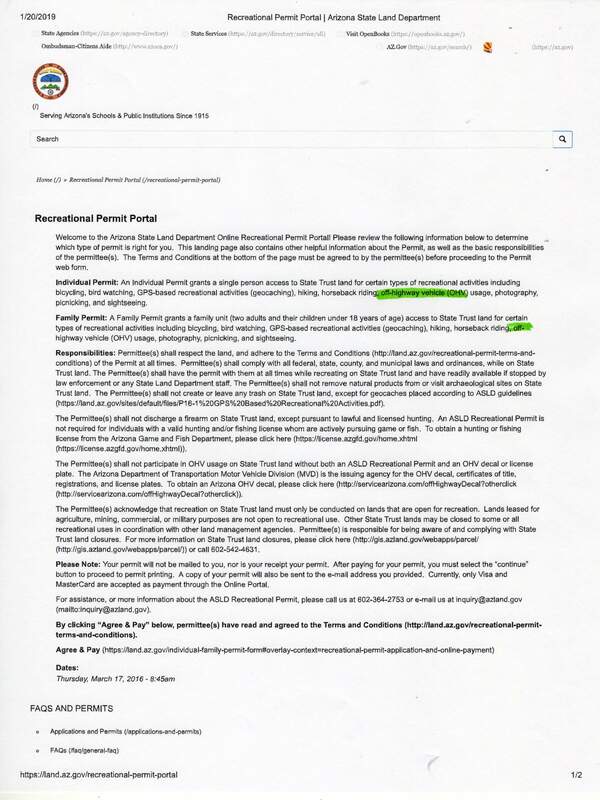 Next two pages are examples of the forms for permit applications when ordering online. 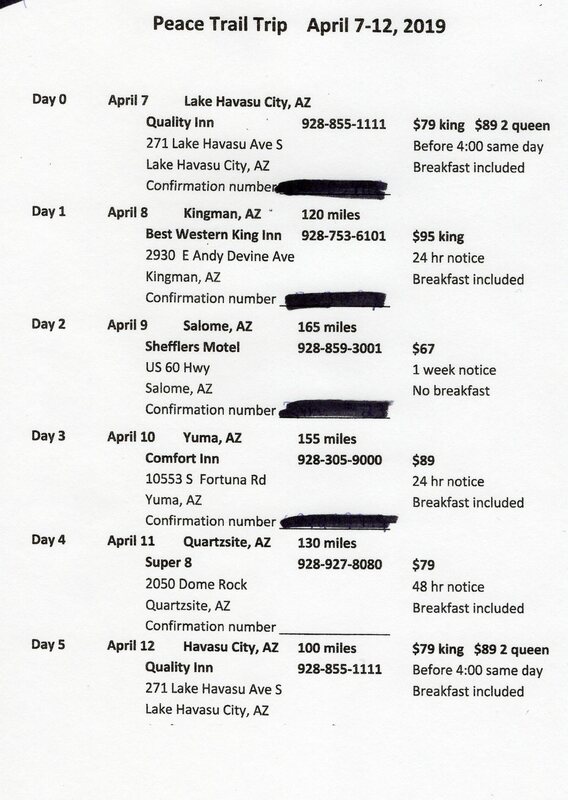 $15.00 for single person permit, $20.00 for family permit.